Full service office - modern, state of the art techniques used for spinal and soft tissue conditions. Friendly and courteous staff. Professional, comfortable and modern atmosphere. 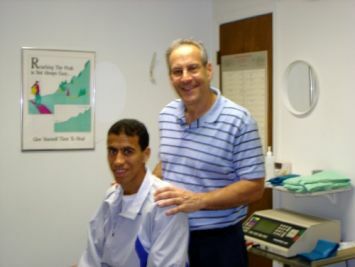 Dr. Landesberg was one of the team of health care specialists who helped world record holder Khalid Khannouchi train for and compete in the US Olympic Marathon qualifiers.